For my own collection of duffel bags I have two primary use cases for them. I look for long narrow shapes in those bags, and prefer bags that don't have a lot of external straps or lash points that can get hung up on things while trying to get them into and out of the roof rack. The second type of duffel bags I use are ones that I stack in the back of our Toyota Sequoia during our trips, and that we can also travel with on airplanes... some we carry on, some we check in. For those I like a rectangle shape vs. a round shape... and that is simply because I feel I can pack them more effectively, and stack them more effectively in our vehicle. I don't worry as much about water resistance for those duffel bags, preferring to use bags with a softer, more flexible ballistic fabric than the more durable, but less forgiving poly eurethane coated duffel bags. I do like at least 1 internal pocket, and for my travel duffel bags, I prefer a pocket on each end. When it comes to duffel bags with backpack straps, I prefer to have them, and prefer to have the option to remove them... or store them away when I am not using them just so they don't catch on ski brakes, or get tangled with other bags I am taking.... and you don't want lose straps if you are checking bags in when traveling on an airplane because they get snagged in conveyor belts. The last thing I want to talk about is the type of opening in a bag. I prefer a "D" shaped opening so that I can open the lid up nice and wide and get it out of my way. If I am looking for a more water resistant or waterproof duffel bag, I like the roll top enclosure like on this Dry Creek™ Duffel over a waterproof zipper, because they are more durable and easier to operate. In addition to the top 5 duffel bags displayed in the grid below, you may also want to consider the SealLine Zip Duffle, Hummingbird Carousel Water Proof Travel Bag, and the Simms Dry Creek Duffel if you are after a waterproof duffel. 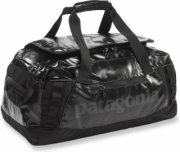 Other bags we liked but did not include in our Top 5 are the Big Agnes Road Tripper Duffle and the Montane Transition Duffle. View our video on duffel bags, and look over our product comparison grid to help you make an informed buying decision. Pros Rectangle shape "stacks" better than round shape. Softer upper material makes it easier to "stuff" into cramped areas in a vehicle or on an airplane. Good all around feature rich duffel that is durable. Good balance of lightweight and durable. Variety of storage pockets, durable, water resistant. Lightweight and great for travel. Cons Not as durable or water resistant due to its lighter weight fabric that is not urethane coated. Round shape does not "stack" into the back of a truck as well as rectangle shape bags do. Not as durable or water resistant due to its lighter weight fabric that is not urethane coated. 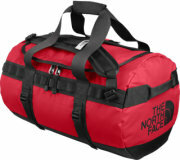 Durability of The North Face Base Camp Duffel fabric. After 12 years of use it is starting to get some holes.